You might notice that some of your plastic surgeon friends from medical school are making their plastic surgery Instagram accounts private. What’s with the sudden change? It might seem strange to put a barrier between you and potential fans, but there are actually quite a bit of benefit. Before you decide if this is a good idea or not, Practice Affiliate has gathered the information you need to make the decision. You can try out having a private account for a week for yourself to try it out. 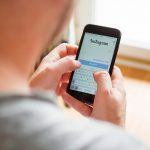 When you switch your Instagram to a private account, new followers will need to request you and be approved before they can view your content. See the benefits of switching to a private account below. Social media is making a shift towards smaller groups or even closed groups for a more personalized experience. This is one of the reasons that Facebook groups are gaining popularity. When you limit the number of people who see your posts, you’re telling your audience that you care more about your content’s quality than the number of people it reaches. Your followers will also feel special knowing you tailor your content specifically for their small, private group. Putting a bouncer at the door of your Instagram account is the best way to tease potential followers. “What’s behind the door?” they will question with a sense of curiosity. This exclusivity will create a fear of missing out for those who are not following you and make your current, loyal followers feel special. Everyone will want to feel a part of your exclusive Instagram content. When you go private, users can’t view your content before deciding to follow you. This forces them to follow you in order to see your content. As a result, your followers grow faster because they will want to view your Instagram content. In addition, if someone shares one of your posts with a friend, their friend will not be able to view the content unless they give you a follow. 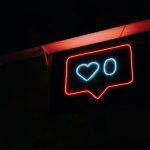 When you switch your plastic surgery Instagram to a private account, if a user tries to unfollow you, they will be prompted with the question, “are you sure you want to unfollow ___?” This extra step may help you maintain more of your current followers. After you put your plastic surgery Instagram on private, this gives you complete control over who views your content. You can accept or reject any followers you please. 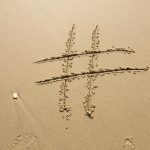 This gives you an opportunity to connect with your new followers on a more personal level. This control gives you a small and private space to engage with your ideal followers and fans. You can also help weed out trolls or robots. The first reason you shouldn’t switch to a private account is that you have to switch your business profile back to a personal profile. This can force you to lose helpful analytics, buttons to contact you and more. Another reason not to switch is that your content won’t show up in searches. If your hashtag strategy is on point, switching to a private account will ruin everything. If you’re unsure if switching your plastic surgery Instagram to a private account is the right choice for you, try it out for a week to see how it goes. If you begin to achieve the results you’re looking for, stick with it. If you think it’s limiting your business, switch back to a public account. Need more advice about Instagram or want to explore different advertising options? Contact Practice Affiliate for more information.